We would like to express our sincere condolences to everyone who has suffered from the Earthquake at Eastern part of Iburi, Hokkaido on Sep, 2018. We sincerely pray for a smooth and fast recovery, as well as the safety of everyone. T.O. Department Store is open for business as usual from 9/8 (Saturday), 10:00-19:00 / 1st (or ground) floor & 4th floor open until 20:00). A range from oversea imported furniture to domestic high-end furniture, gives you the best selection of Hakodate. Books, CD, DVD, stationery and so on, stock range are widely supplied in this region. Home appliances, Hishinomi home interior (bedding sets, curtains, baths, toiletries, interior accessories, carpets and so on). From bags to watches, accessary and so on, a variety of branded goods of your choice. Take a rest and feel relief in a room fill with the scents of coffee. Countless products, adorable homeware, kitchenware, bathing, fun tidbits and so on! that'll make your living wonderful & colourful. Feel free to step in give yourself a treat whether by yourself or with friends & family. Seisen Genki Market, fresh & healthy market, provides you only the freshness food at a low & reasonable prices. Follow us at Facebook, Twitter, and Wechat! Get all the latest news & events that will bright up you days! Check it out on our Instagram at Orange House & Y Studio. You'll see tons of our latest updates & photos too! Greetings to our guests from oversea! T.O.Department Store is located in a six-story building offering an extensive range of products. Among our merchandise are clothing, jewelry, cosmetics, luxury handbags and wrist watches, household electronics, home goods, and much more. 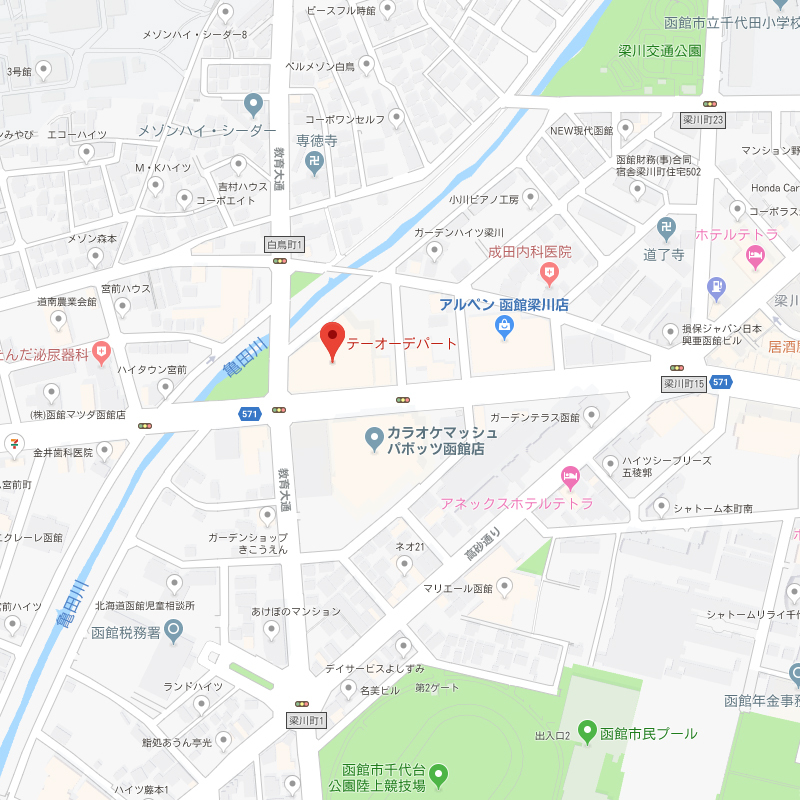 That’s not all, we also have a food supermarket, a 100-yen shop (DAISO), and café. Open 365 days a year, 10 a.m. to 7:00 p.m. Ground (1st) & 3rd Floor open until 8:00 p.m.
Support provide mainly in Japanese. Always looking forward to your arrival! 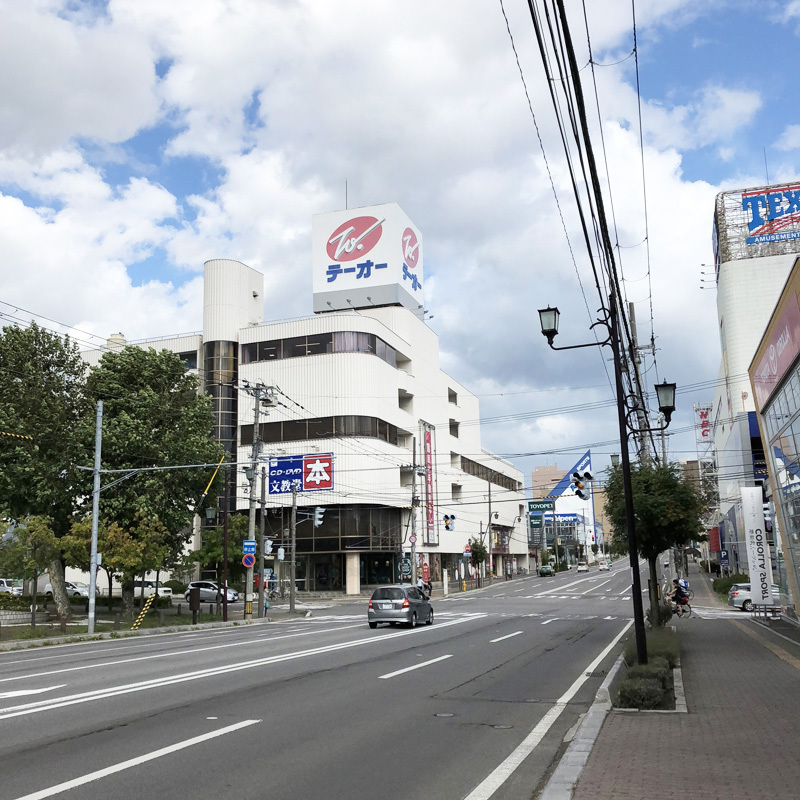 1 By Taxi: About 10-minutes taxi ride from the JR Hakodate Station “函館駅前 Hakodate Ekimae”. 2 By City Streetcar“市電 shiden”: Take the streetcar from JR Hakodate Station “函館駅前 Hakodate Ekimae”, ride until Station “五稜郭公園前 Goryokaku Koenmae”. After arrived at Station “五稜郭公園前 Goryokaku Koenmae”, takes around 10 minutes walk. Your are most welcome to join us! 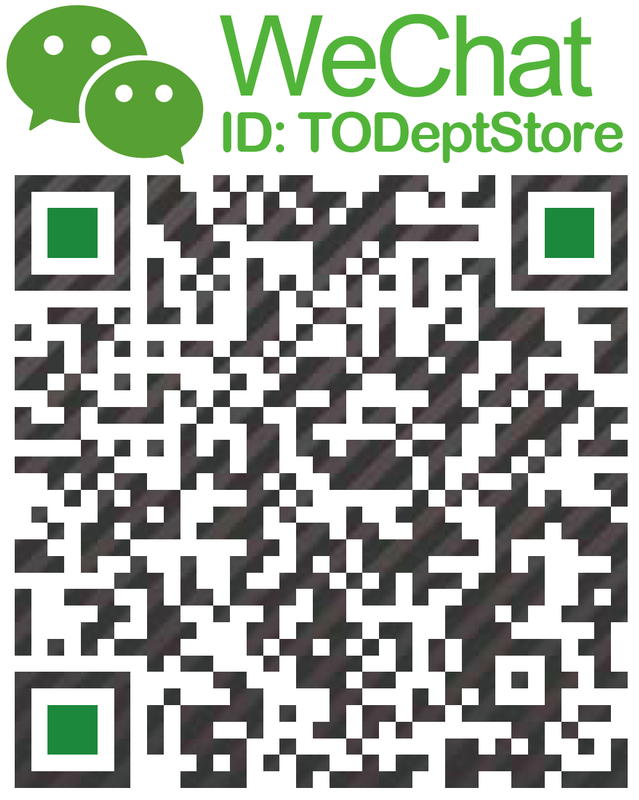 WeChat Pay China National Day Campaign! Duration: 26th September 2018 Onward. 1 The cash back benefit applies when a full payment was made within 2 RMB (around Yen 32) and a maximum of 200 RMB (around Yen 3,200) at any WeChat Pay participating store. 2 The customers are allow to choose whether to receive a full amount cash back, or a next time purchase coupon would be issued. 3 The cash back amount would automatically refund into customer's WeChat Pay Wallet. 4 As for the coupon in order to use it, customer must have an amount of purchase which is above the issued coupon’s value. For example: A 200 RMB value of coupon can only be used when the customer has a purchase of 201 RMB. The coupon will then be spent automatically and customer will only needs to pay for the balance amount. 5 One Customer (One user account) can enjoy this benefit twice a day. Tax-free is much flexible now! 1st of July 2018 onward, we allow tax-free for a combination of both general merchandise and consumable goods in a single receipt within a purchase of 5,000 yen until 500,000 yen (excluding taxes). Both category of goods will be sealed in a specific, transparent plastic bag. Customer is not allow to open the seal and consume the goods before leaving Japan within 30 days. In summer 2015, a new duty-free system was launched. The time taken to complete the process is much shorter now. About 80% of the processing time is reduced compare with the previous system. Have a wonderful time shopping with us! Our store will gladly accept applications for tax exemptions. Foreigner who have been staying in Japan less than 6 months, and Passport is require when making an application. Residents of Japan are not eligible. 1 Clothing, fashion goods, accessories, wrist watches, and etc. 2 With a purchase of 5,000 yen or above, excluding tax. 3 Please be sure that items are bring out of Japan within 6 months of the date of purchase so that to avoid any inconvenient during immigration and custom clearance. 1 Foods, beverages, cosmetics, medicines, etc. 2 With a purchase between 5,000 yen and 500,000 yen, excluding tax. 3 Consumables goods will then be sealed in a specific, transparent plastic bag. 4 Customer is not allow to open the seal and consume the goods before leaving Japan within 30 days. Which shop has tax-free service? 1 Consumable goods will be sealed in a specified, transparent plastic bag. 2 Please do not open the package until you have leave Japan. 3 A friendly reminder that if you open the sealed plastic bag, you will probably be charged an appropriate amount of tax at custom clearance. 4 Sealed means any items which sealed in the plastic cannot be consumed during your stay in Japan. 5 Limited to individual customers. It is always a pleasure to be at your service! 1 Firstly choose the products that you want to buy in the department store. 07:00 p.m. to 08:00 p.m.
3 Complete the tax exemption process. The person who make the purchase is required to have a passport (with entry certification stamp). 4 Make Payment. Others than Japanese Yen, we also accept various cards such as: VISA, MASTERCARD, AMERICAN EXPRESS, and China Union Pay Cards (銀聯). 5 Packing and Sealing. Thank you for your purchase, the items will be sealed with a specified transparent plastic which you are not advisable to open it until you have leave Japan. 6 We will be looking forward to serve you again. 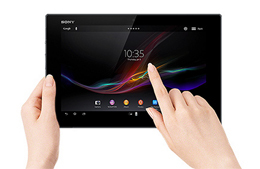 We provide translation tablet devices and conversation sheets (point to expressions, etc.) on the 1st ~ 3rd floors for your convenience. The supported language mainly include English, Traditional & Simplified Chinese, Korean, and Thai. Please allow us to assist you!